The opening Republican presidential debate was a spirited affair, but missing was any serious discussion of Obamacare, the domestic centerpiece of Barack Obama’s presidency. The moderators asked only two Obamacare-related questions. One elicited Donald Trump’s assertion that a government monopoly over health care “works” in Canada and “works incredibly well” in Scotland. The other prompted John Kasich to defend his decision to expand Obamacare in Ohio on the grounds that “everybody has a right to their God-given purpose.” Half of the 10 candidates (including Trump) mentioned in passing that Obamacare needs to be repealed. But no candidate even began to outline a conservative alternative. We hope that the candidates will soon step up to the plate in this regard. Obamacare costs a fortune at a time when we are $18.2 trillion in debt. It centralizes power and money in Washington. It declares war on doctors in private practice, who will soon go the way of the milkman unless Obamacare is repealed. It funds abortions with tax dollars. And for the first time in our nation’s history, it forces private citizens to buy a product or service of the federal government’s choosing, merely as a condition of living in the United States. Which comes closest to your view of the Patient Protection and Affordable Care Act, commonly known as “Obamacare”? It should remain the law of the land, either in its current form or in an amended form. It should be repealed and replaced with a conservative alternative that aims to lower health costs and help people get insurance. It should be repealed but not replaced with an alternative. In response, 43 percent said Obamacare should be repealed and replaced with a conservative alternative, while an additional 12 percent said it should be repealed but not replaced. Only 38 percent said it should not be repealed. In other words, with a conservative alternative in play, likely voters support repeal by a margin of 17 points—55 to 38 percent. It is not just any conservative alternative that can lead to full repeal. In addition to lowering costs and helping people get health insurance, a winning alternative must be designed so as to cut off the three easiest liberal lines of attack. First, a conservative alternative must provide an answer to the problem of preexisting conditions—one that, unlike Obamacare’s, doesn’t undermine the very nature of insurance. This requires commonsense protections that allow people to do things like move from employer-based insurance to individually purchased insurance without being charged more for a “preexisting condition” that was previously covered. Similarly, when they turn 18 (or first leave their parents’ insurance) people should have a grace period of a year or so to buy insurance without being charged more for a childhood condition that might or might not have been covered under their parents’ plan. Second, an alternative shouldn’t alter the tax treatment of the typical American’s employer-based insurance. About 170 million people have—and usually like—such insurance. Third, a conservative alternative must provide an answer for the poor and near-poor who have become newly insured under Obamacare. This means providing refundable tax credits to all people who are not offered insurance by their employer but instead purchase it on their own. These tax credits should not be income-tested and should go directly to individuals and families—not to insurance companies, like Obamacare’s subsidies. A conservative alternative that had its defenses in order in these three areas could then go on offense. For 70 years, the federal government has given generous tax treatment to those who get insurance through their employer, while millions of Americans have gotten no tax break for buying insurance on their own. Obamacare didn’t fix this longstanding unfairness in the tax code. A well-conceived conservative alternative would. This contrast would highlight how burdensome Obama-care is for the middle class and the young. The typical 40-year-old making $35,000 a year without -employer-based health insurance doesn’t get a dime in taxpayer-funded Obamacare subsidies. Meanwhile, next-door, someone identically situated but receiving health insurance through an employer gets a tax break. Under the 2017 Project’s “Winning Alternative to Obamacare,” the 40-year-old without employer-based health insurance would get a $2,100 tax credit to help buy insurance—and if he or she bought insurance for less than $2,100, the difference would go into a Health Savings Account. Instead of being compelled to buy Obamacare-approved insurance through a government-run exchange, people could shop for value on the open market. Non-income-tested tax credits would address this in-equity in the tax code and revitalize an individual insurance market that the federal government broke. 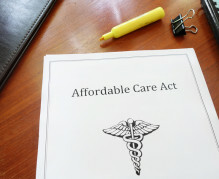 Moreover, an alternative like the 2017 Project’s would not only free Americans from Obamacare’s heavy-handed mandates but would also save more than $1 trillion over a decade, while leading to more people having private health insurance than under Obamacare—according to scoring by the politically neutral Center for Health and Economy. Obamacare must be repealed. With a well-conceived conservative alternative in play, it will be. It is up to the candidates in the 2016 field to show that they could lead us to victory on this most important domestic-policy fight.